How do you move two male lions over 1400kms? 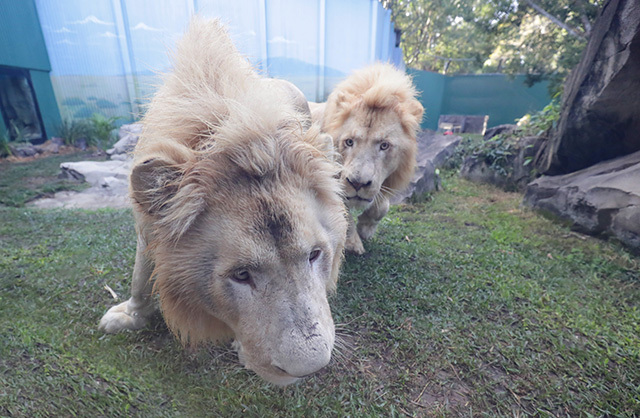 This was the question posed to us at Jetpets last week when we completed the move of two white lions, “Holden and Kimba”, from their home at Altina Wildlife Park to Dreamworld on the Goldcoast. The two brothers are part of only a handful of rare white lions in captivity and weigh in over 200kgs each. The lions hail from the Timbavati region in Africa and due to human interference and poaching, have not been sighted in the wild since 2010. “Welcoming Holden and Kimba to Dreamworld will further help conservation initiatives for cats in the wild through the Dreamworld Wildlife Foundation and will raise awareness of the plight of our vulnerable and endangered big cats around the world”, a Dreamworld spokesperson said. 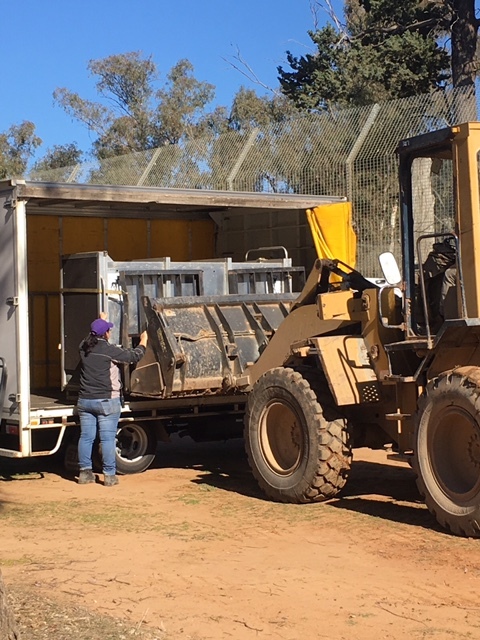 The lions were picked up at Altina Wildlife Park last Wednesday by Jetpets pet handlers and were transported in custom built steel crates to ensure they remained calm and comfortable during transit. The lions personal handlers, who have raised them since they were cubs, also made the journey to check the lions condition during the numerous stops on the way to their holiday destination. “It was a rewarding experience being involved in the move of these majestic lions, our service and relationship with Dreamworld continues to make Jetpets the leader in animal transport in Australia”, Montana Sheridan, National Customer Service Manager. Guests to Dreamworld will have the opportunity to have a once in a lifetime face to face encounter with the imposing lions from this week through to mid July, when they will be transported back to their home at Altina Wildlife Park. Website link - click here.